You swooped in so quickly I didn't even have time to give a proper goodbye to 2018. The months of November and December for me were a complete blur. Once again, our home was filled with these beauties. 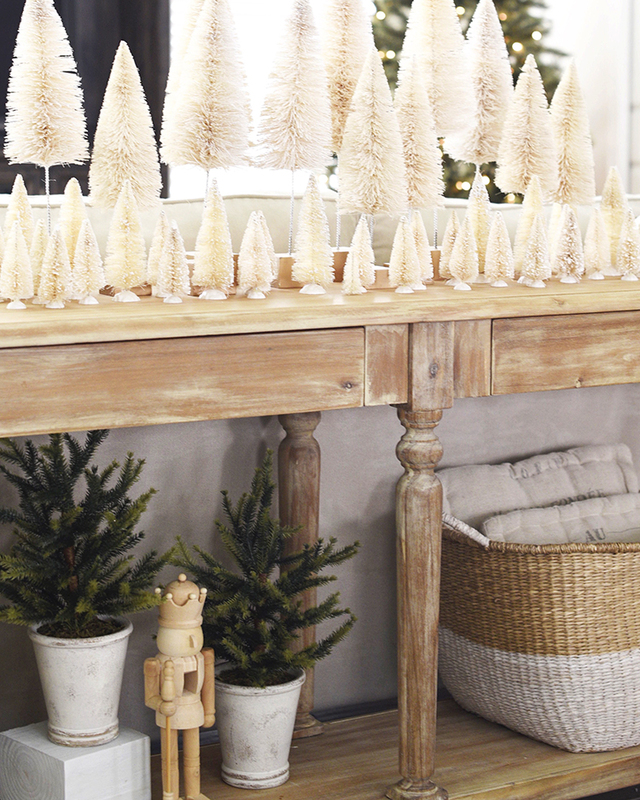 Something about these simple little trees just fills up my heart. My collection grew this year when I found some giant versions of them at Hobby Lobby and some mini mint green trees a friend mentioned on Instagram. The mint ones are just as cute and I really wish I would've gotten a picture of them. 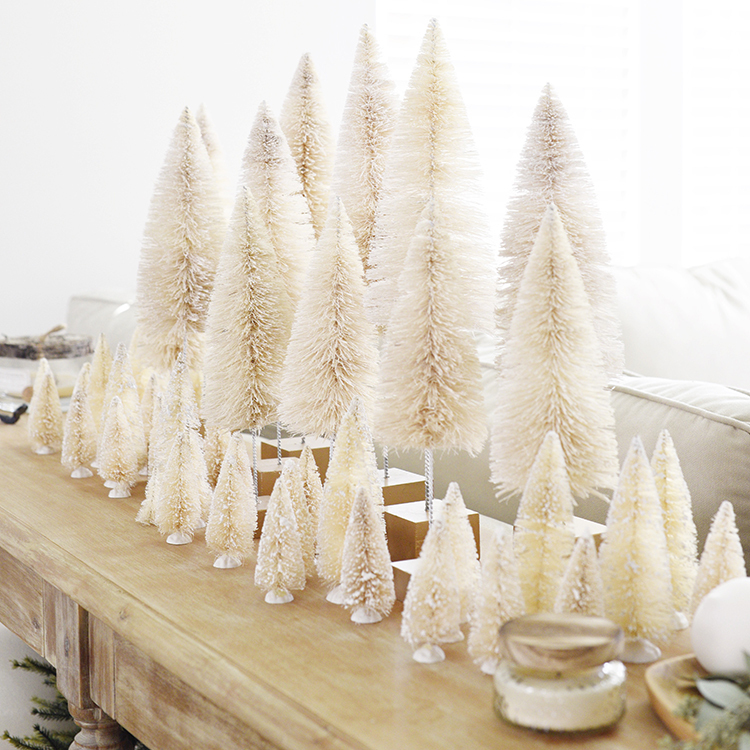 I displayed these pretty little trees on our sofa table as well as on our dining table as part of a centerpiece I created. 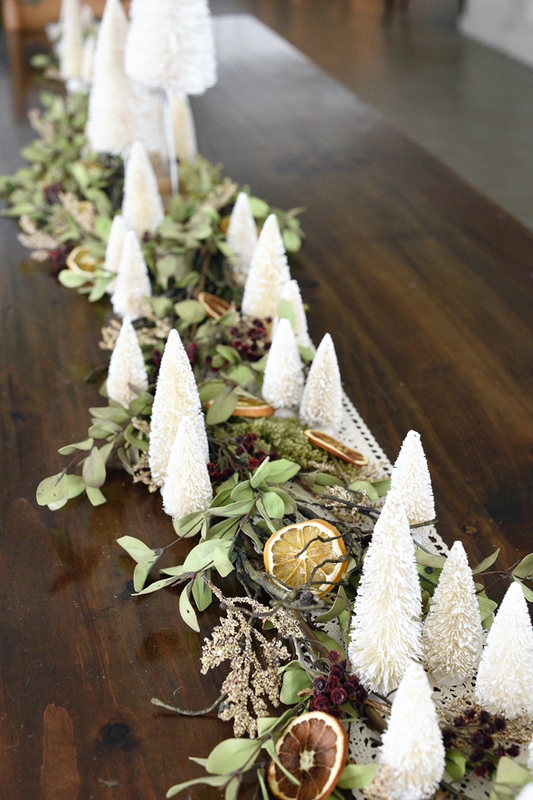 (the same Thanksgiving Table Garland but just an updated Christmas version of it). 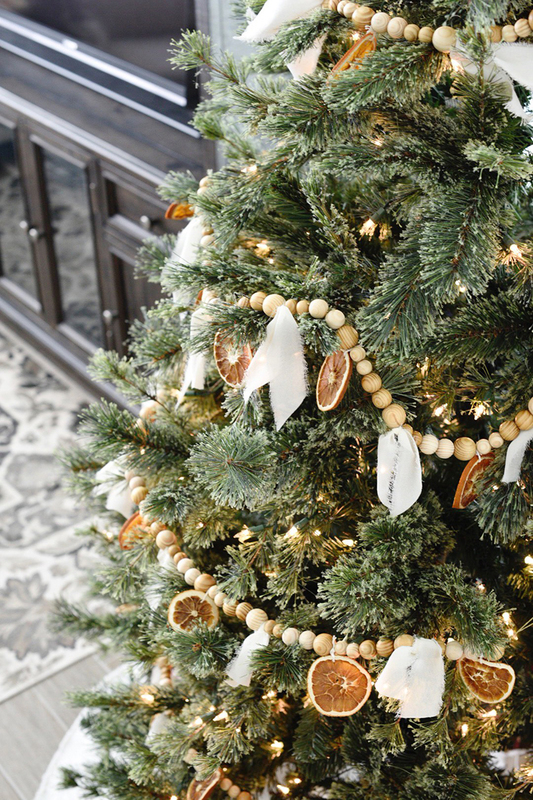 I absolutely loved the simplicity of the orange and wood bead garland with simple fabric tied on to it. And also, truthfully, I just could not muster up the motivation to pull out any of our Christmas ornament boxes and just left it as-is. 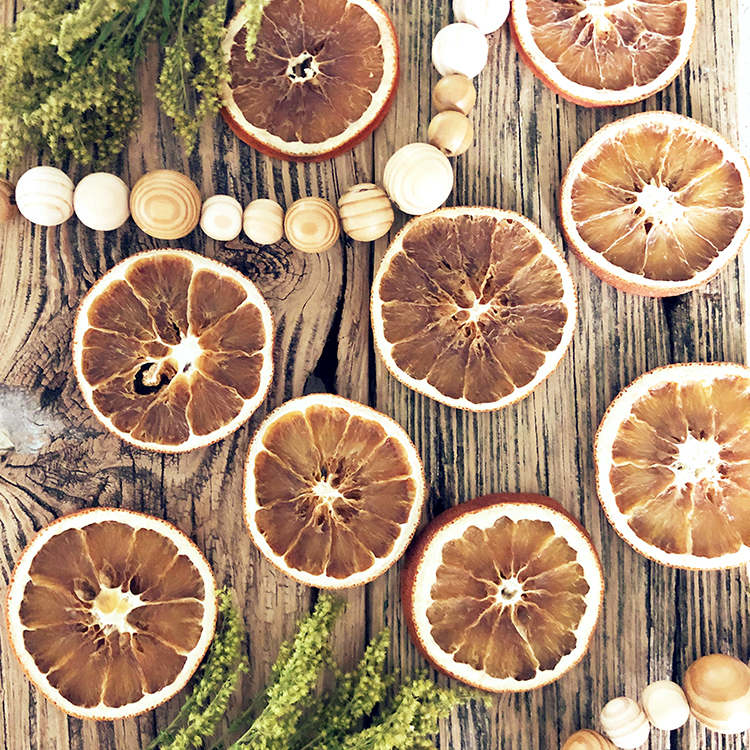 I LOVED the dried oranges and used them throughout the little bit of Christmas decor I put up this year. 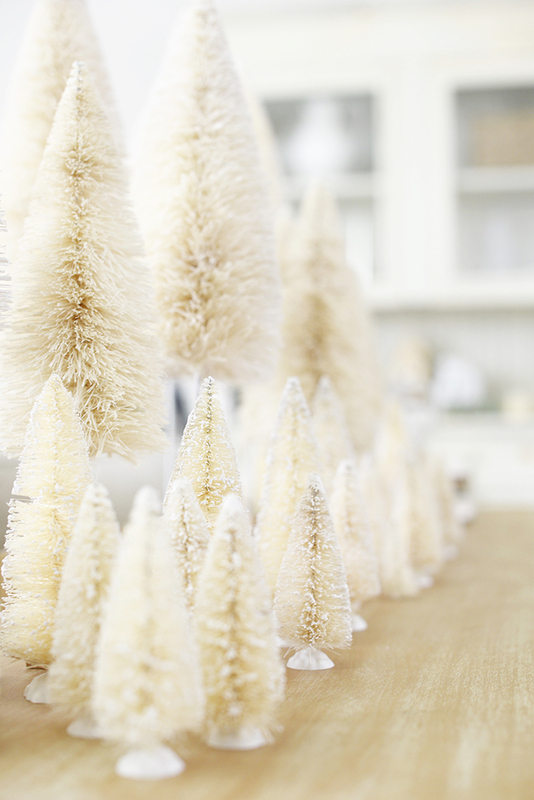 Not only did I use them on our tree, I tied them on to gifts and even incorporated them into our table centerpiece. I had intended to add them to our stockings this year but never did. I had fun learning some things about drying oranges when I tried both the oven method as well the dehydrator approach. 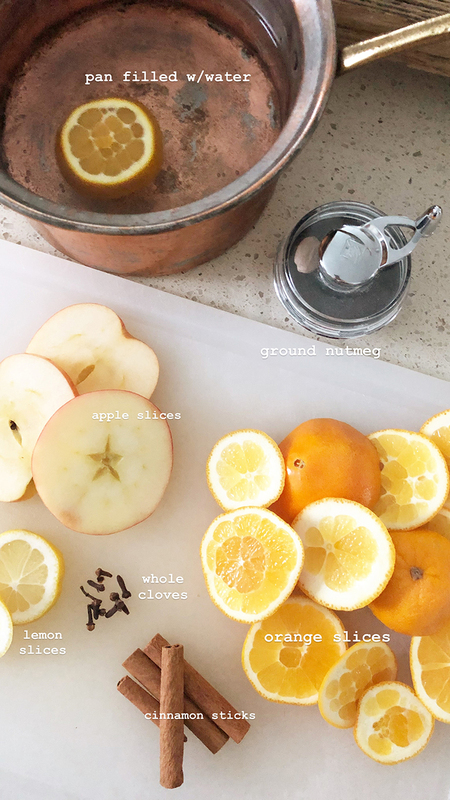 The oven produces a more rustic colored orange where as the dehydrator results in a vibrant orange color. I prefer the rustic color for packages and decorating but the brilliant orange would be beautiful for creating homemade potpourri or bath salts + sugars. I also learned that they are no longer fragrant after drying but you can spritz or paint them with my favorite seasonal scent combo: orange + clove essential oils. Adding the oils makes them deliciously but temporarily aromatic. 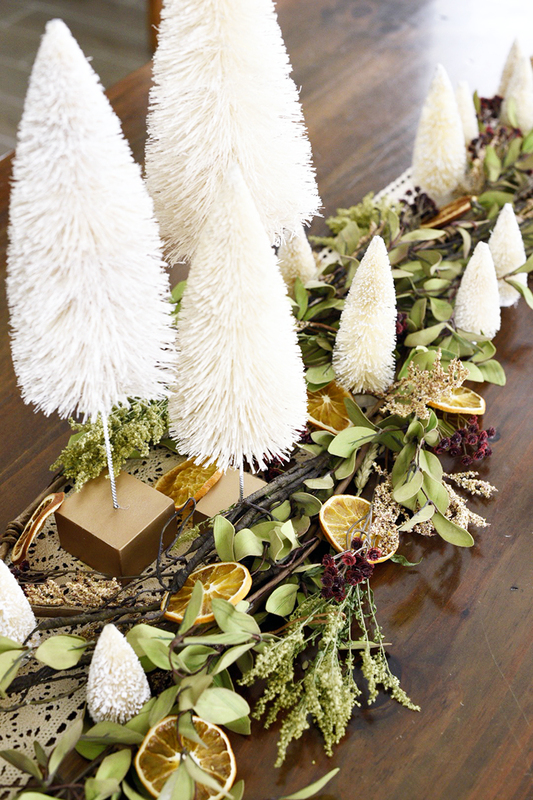 I definitely love the natural elements the oranges added to the Christmas season. And since you can store the oranges I'll be using them again next year. All you have to do is fill a pot with water and add the ingredients above. Bring it to a boil and then turn it all the way to simmer. Add more water as it gets low and turn it off at the end of the day. I'm usually able to get a few days out of mine...replenishing water and spices as needed. 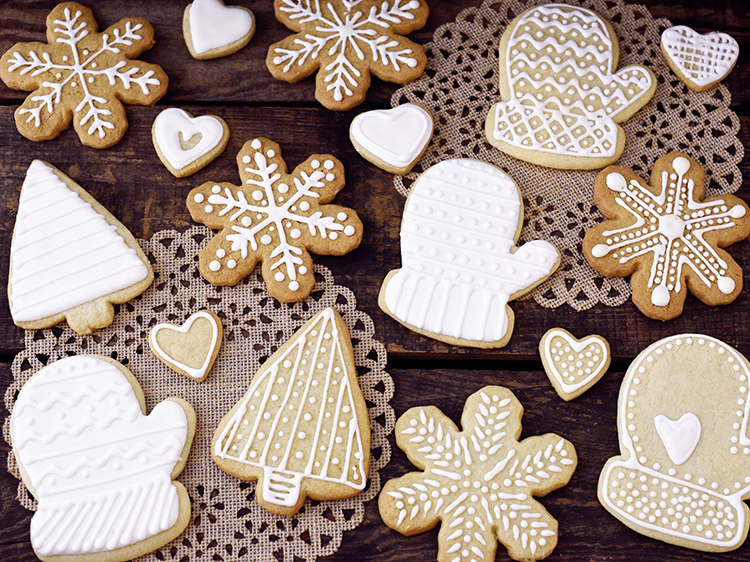 Something else I tried my hand at this year were stamped Gingerbread cookies. AND...my first time making gingerbread cookies at all...if you can believe that with as much baking as I like to do. 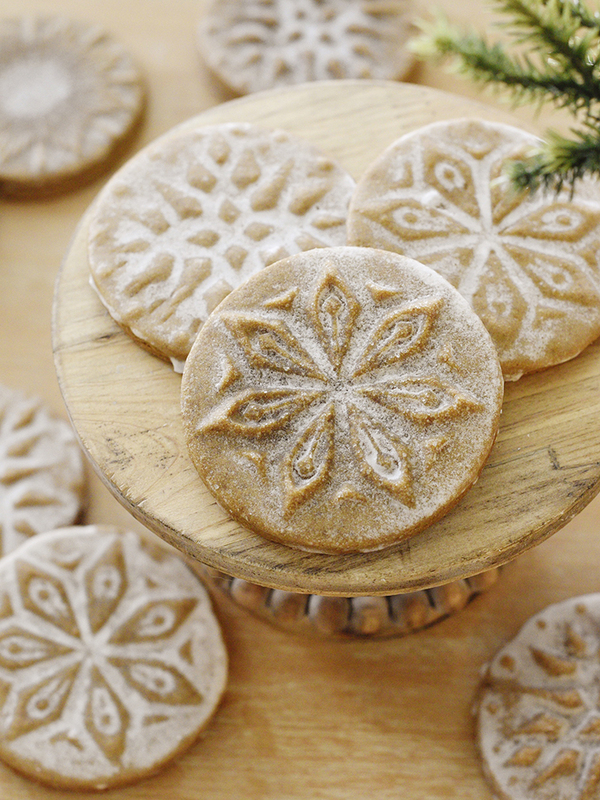 These were soooo neat to make and after a couple of batches and testing different recipes I'm confident I've found the perfect combination for successfully making these gorgeous cookies. I posted these on Instagram and there are friends over there waiting on the recipe so I promised to post it before the end of January! So stay tuned for that. Unfortunately, my cookies were just "off" for me...for a couple of different reasons. I'm calling it a "Christmas Surprise" because it sounds WAY more exciting. The surprise was that Jay was on his "Christmas light game" this year and actually surprised me by getting them up on Thanksgiving weekend - I didn't even ask. It was awesome to have them up to enjoy throughout the entire month of December - he knows they are my favorite. Another surprise was that we did a little something different this year when we made the two hour drive back to Mt. Dora, four days before Christmas, to participate in a 5k with some of our friends. Ella and Jay ran it and I did a nice brisk walk. It was a crisp, cold morning for a 5k but our hearts were certainly warm getting to see our friends and some family for the weekend. We stayed with my mom one night too and then made the drive back home to St. Johns. Truthfully, aside from the fact that I nailed the "gift of giving" by shopping early and being done a couple of weeks before Christmas this year...there wasn't enough Christmas spirit in our home. I was really feeling empty and spirit-less on some days and I didn't even do the "25 Days of Christ" to help us really focus on the significance of the season. It was also the first year, in my whole life, my two older girls were not there with me on Christmas morning. It was a hard pill to swallow and most certainly made Christmas seem entirely different. Emalyn drove up at noon on Christmas Day to have an early dinner with us and exchange gifts. That made things a lot more tolerable and I was happy to have been able to see her on Christmas. I hope next year is different...as I'm not sure I can take another Christmas morning without them. I intend on making a few changes for next Christmas since there were things I didn't experience this year and my heart was really sad about it. I felt I was just watching Christmas float by and all I did was look up for a minute and give it a little nod. BUT...there were also things that filled up my bucket/heart. And truth be told, I didn't realize how many "joyful" things I had actually experienced until I started writing this blog post. So yes...I NEEDED to write this Christmas recap because it allowed me to realize just how many wonderful things were tucked in between all of the disappointment I was feeling. Looking forward to sharing again soon!